Neodymium ring magnet 10x6x3 mm. 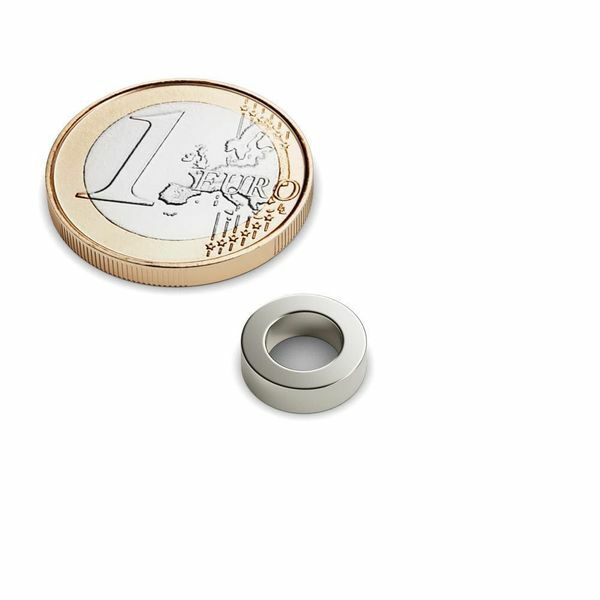 10 mm outer diameter x 6 mm bore or inner diameter x 3 mm height. 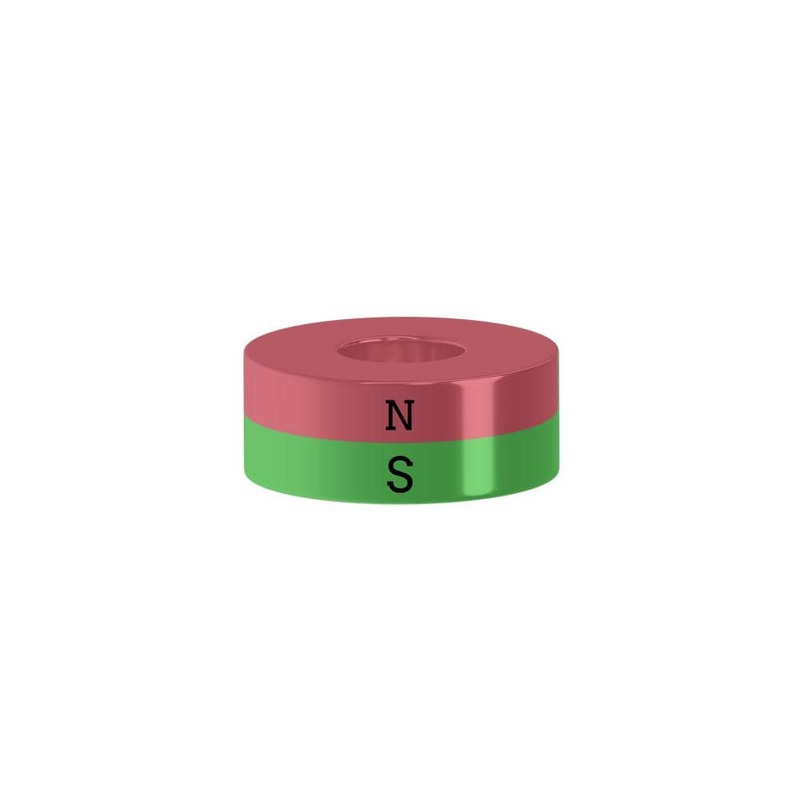 A typical neodymium ring magnet 10-6x3 mm Ni-Cu-Ni. These strong neodymium ring magnets are used daily in the private as well as in the industrial field. Design e.g. Your own games. How about "duck fishing" or "fishing angling"? Attach a magnet to the duck / fish and the other to the end of a rope that is attached to a stick or the fishing rod. Be creative, hollow out the annual market and inspire your little ones!